Clearing up, or rendering, slaughterhouse waste animal tissue, fats, bones and hides might not be top of mind for most people. But when it comes to dealing with inedible animal by-products, the rendering and leather industries come into their own in ways that reduce environmental impact, benefit the economy and are, most probably, the ultimate in sustainability. Leather tanning and rendering have existed around the world in various forms for hundreds of years, but North America, particularly the U.S., has made stellar advancements in standardizing collection of raw materials to clean and re-use. Rendering is the process of collecting animal by-product such as bone and fat as well as used cooking oil to extract and recover fat and proteins or in the case of used cooking oil, add to biodiesel production. Modern efficient renderers are mainly concentrated in North America where they collect 24.4 billion kilograms (56 billion pounds) of raw materials between the U.S. and Canada alone. The ingredients made from rendering are then used in dozens of products, most notably pet food, animal feed and cosmetics. Popular ingredients like retinol, gelatin and collagen are recycled animal-derived products that are used every day—a truth that contradicts the popular misconception that animals are killed solely for these and other products. Were it not for rendering, animal by-products would fill up all available landfills in the United States within four years. Were it not for the leather industry, in 2016, nearly one million tonnes (two billion pounds) of cattle hide would have sat wastefully in landfills. Sustainability in U.S. agriculture takes many different approaches even in sectors removed from direct food production. 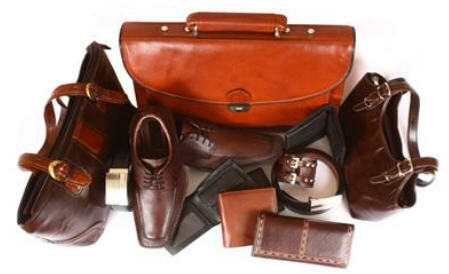 Renderers and the leather industry are just two industries supporting sustainability and reducing environmental impact. To learn more about rendering, check out this sustainability fact sheet. To learn more about hide, skin and leather, check out this sustainability fact sheet.